This charismatic Honu (turtle) was fascinated with Stephanie Hogue as she swam in the warm Hawaiian waters. Her attempts to photograph it from a distance were futile, as this Honu was insistent on getting closer to see her! 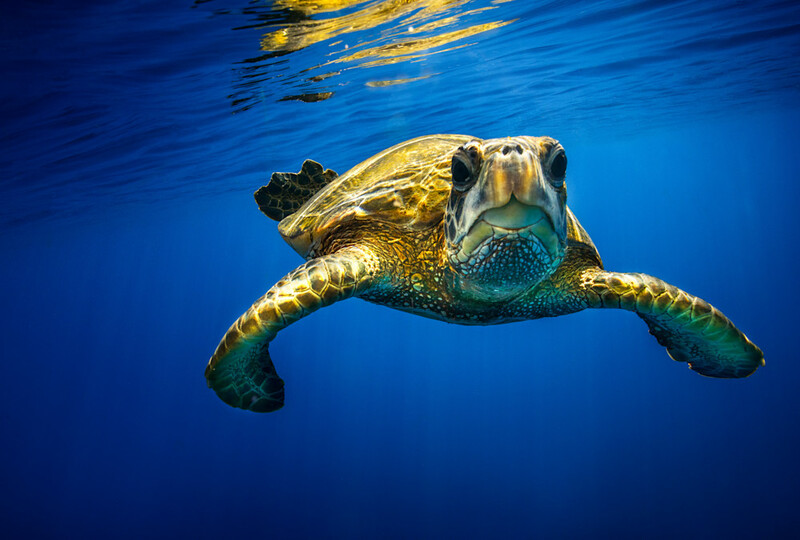 The Honu's expressive eyes and "smile" have won our hearts.